and doing this all for the pleasure of Allah knowing in your heart of hearts that he is your sustainer and provider and he will reward you tenfold in this world ,if not in the hereafter. It has logo making ;advertising ,letterhead designing ,but overall it deals with major community projects operating under that idea,the mastermind or the brainstorming in a nutshell.At the moment I’m glad I chose that name as I mentioned in another blog about my love for red roses and how crazy I am over that beautiful creation of Allah.Just as how we see the beauty of that flower our character should also project that kind of beauty ,Good character is an essential portrait of any human being no matter what race ,colour or creed. 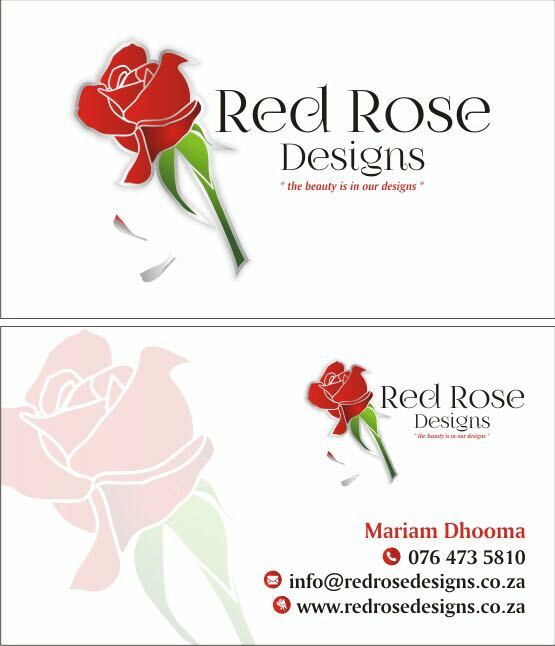 Red Rose Designs will offer many good services in the future . So just keep reading my blog posts for the latest updates. The logo is going through a facelift actually ,It’s going to have a brand new look ,and really ,hard work does pay off .Sooner or later all the profile pics; logos headers and banners will change, I am so anxious and excited ,I just can’t wait . I have my fingers crossed,and waiting for a new change with open arms .